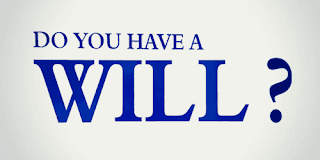 Will is termed as the legal declaration of a person’s intention that he wishes to be performed after his death. When once the Will is made by the testator it will be revoked during his lifetime. A person cannot offer his ancestors property in the form of a Will. But he will be able to make a Will only of his Self-Acquired property. Written document (testament) by which a person (the testator) directs how his or her assets (estate) are to be distributed upon death. Among other provisions, a will may appoint executors to administer the estate, name guardian for a child, and/or make arrangement for payment of obligations. Commonly, the law requires that the testator must have testamentary capacity when making the will, and that it be witnessed by two or more credible witnesses. It is not always necessary, however, that the will bears the signature of the testator. Someone else may sign it on behalf of, and in the presence of, the testator and a required number of witnesses. A Will which is created by a person who is not a soldier employed in an expedition or has engaged in actual warfare or a mariner at sea is known as an unprivileged Will. For an unprivileged Will to be valid, it is compulsory in satisfying certain conditions. The person who creates the Will need to sign or affix his/her mark in the Will. Privileged Wills are those Wills that will be in writing from or has been made by word of mouth by those in active services like a soldier, airman or sailor. The validity of a privileged Will in terms of legal terms has been reduced to allow certain persons to quickly make a Will. Sham Wills are those wills that are executed purporting to be a Will, but will be invalid as the testator does not have the intention to execute his/her wishes. As per the Indian Succession Act, a Will that is made by fraud or by taking away the free agency of the testator is considered invalid. A Joint Will is an instrument in which two or more persons agree to make a conjoint Will. When a Will is joint and is intended to take the effect after the death of both, it will not be enforceable during the life time of either. Joint Wills need revocable at any time by either of the testators during their joint lives, or after the death of one, by the survivor. A testator, for the sake of safety, may make a Will in duplicate, one to be kept by him and the other to be deposited in the safe safekeeping with a bank or executor or trustee. If the testator mutilates or destroys the one which is in his custody it is revocation of both. A Will is expressed to take the effect only in the event of the happening of some contingency or condition. If the contingency will not happen or the conditions will fail, then the Will is not legally enforceable. Normally, a man has to leave only one Will at the time of his death. But for the sake of convenience, a testator need to dispose of properties in one country by one Will and the other properties in another country by the separate will. They are concurrent Wills. For a Mutual Will, the testators will be consulting each other reciprocal benefits. A mutual Will has to be executed by the husband and wife, in their lifetime for passing all benefits to the other person during their lifetime. A holographic will is a will that has been entirely handwritten and signed by the testator. A will need to be signed by the witnesses attesting for the validity of the testator's signature and intent. But in most of the jurisdictions, holographic wills, it will not be witnessed are treated equally to witnessed wills and need only to meet the minimal requirements which is to be probated.Written document (testament) by which a person (the testator) directs how his or her assets (estate) are to be distributed upon death. Among other provisions, a will may appoint executors to administer the estate, name guardian for a child, and/or make arrangement for payment of obligations. Commonly, the law requires that the testator must have testamentary capacity when making the will, and that it be witnessed by two or more credible witnesses. It is not always necessary, however, that the will bears the signature of the testator. Someone else may sign it on behalf of, and in the presence of, the testator and a required number of witnesses.